Hello and welcome! 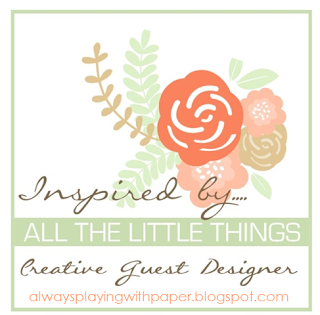 I am so thrilled and honored to be participating in the Pinkfresh Studio April Essentials Release Blog Hop! 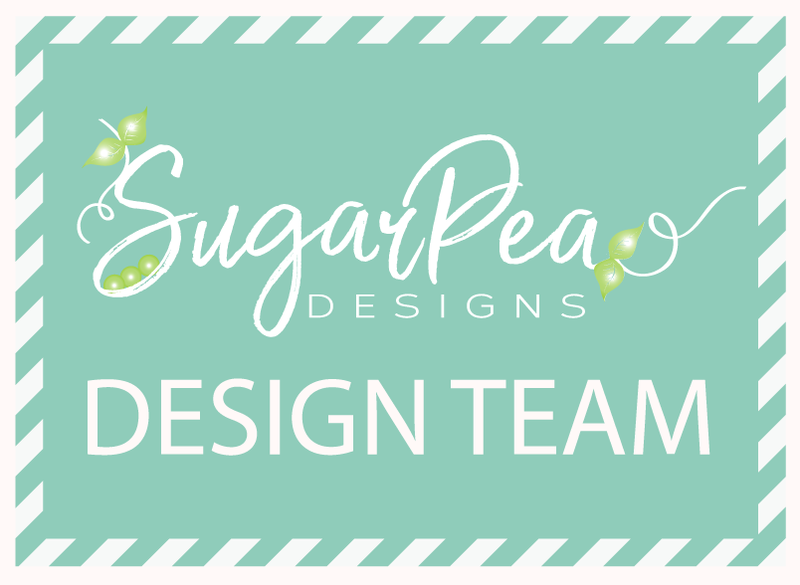 I've got some fun projects to share with you today using many of the new essentials that you are sure to fall in love with! 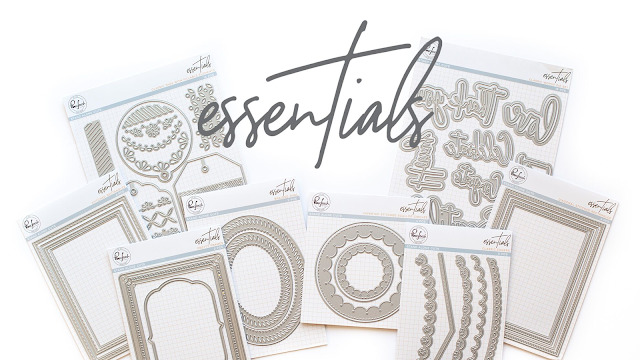 These new essentials that I have used today are staples that I personally have already fallen in love with and will be used often as I reach for them again and again! This post contains a lot of information and photos, as well as links to the rest of the AMAZING designers that are participating in the hop so sit back and enjoy! Also, Pinkfresh Studio will be giving away the FULL April Essentials release on the Pinkfresh Blog and Instagram! Wahoo! 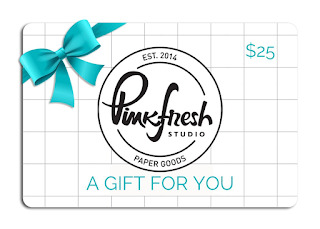 I will also be giving away a $25 dollar gift card to the Pinkfresh Studio shop to one lucky winner who leaves a comment here on my blog! The winners will be posted on Sunday April 14th on the Pinkfresh Studio giveaway page! You MUST check that page and claim your prize within two weeks! Also, there will be a really cute gift with purchase! 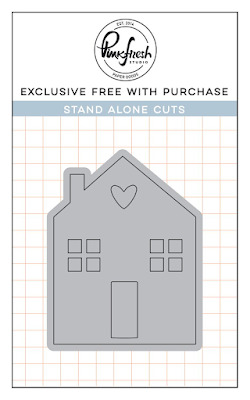 It is this darling house die that is so versatile for so many designs. This will load directly in your cart, easy peasy! We will also be offering free/discounted shipping from April 8-11th on orders $50+. 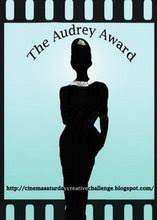 You must use the code APRESSFREESHIP50. Shipping is free in the USA, and $5.50 off for our International friends. 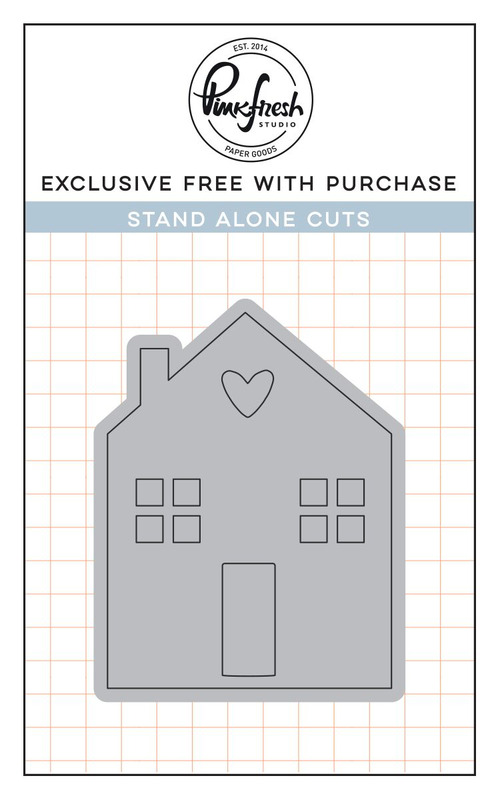 I gasped when I saw the gorgeous new Classic Edgers die cuts and couldn't wait to put them to use! It was hard to decide which one I like best, so I decided to just go ahead and use 4 out of the 5! LOL! 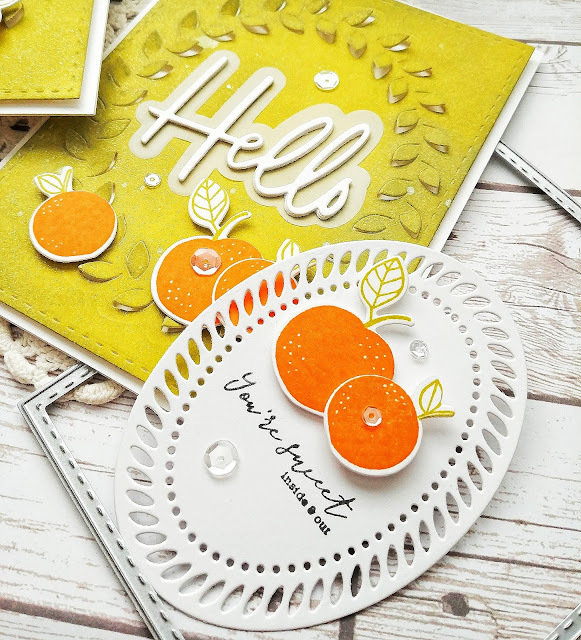 I actually used a few of the other new essentials as well, one of which is the beautiful new Braided Ovals die set. These, paired with the edgers, set the stage to create a classic and clean set of note cards. I also used the Oval Foliage stamp set which complements these new essentials so perfectly. To begin these notecards, I die cut four pastel colored pieces of cardstock using the new Stitched Rectangles to give that polished and professional edge that I am always looking for in my designs. I especially like using dies like this for CAS designs, because it adds just the right amount of detail without a lot of effort! I die cut the white rectangle piece using the Stitched Rectangles die set as well. It comes with both clean cuts and detailed cuts, which I love. I was able to add the detail from the Classic Edgers to one side of each of these rectangles, choosing a different design for each one. I have quite a collection of edger type dies, but none of them have the sweet details like these! I will be using these quite a bit, I can tell! The Braided Ovals were also die cut from white and they set the stage perfectly for the gorgeous foliage and sentiments from the Oval Foliage stamp set. I am so happy with how these cards turned out! My second set of projects uses the new Classic Words dies that I will also be reaching for again and again. I don't own any word dies that also include the "shadow" portion, so I am so excited to have these! To begin today's designs, I used some Distress Oxide ink to create two blended panels that I die cut using the new Stitched Rectangles as well as the previously released Oval Foliage Die set. I have seen some of the Pinkfresh designers use this die set recently and I have fallen in love! I am so thrilled to have this; I just love the detail it adds to my designs! This set the stage for the white "hello" and the vellum shadow. I used the bright and fun fruit from the Fruitastic stamp set to complement the words. 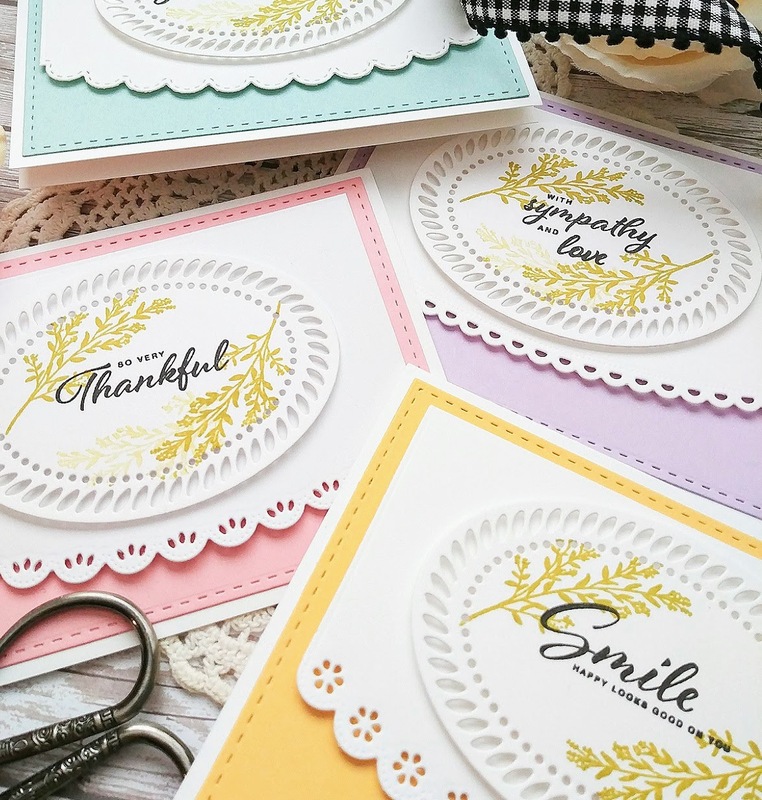 For this project, I used the Braided Ovals dies to create coordinating tags to go with my cards. The sentiments from the Fruitastic set are so unique and unlike any I have seen on the market previously! I love when a stamp set fills a void that I have in my collection, which sometimes seems impossible based on the magnitude! LOL! These braided ovals nest nicely inside the foliage on the card, which is another design idea I can't wait to try, so stay tuned for that! My final project uses the Braided Oval again, but this time I used the larger of the two to showcase this amazing unicorn. This is the first Pinkfresh Studio stamp set that I owned and it is so much fun! It is called Magical Unicorn and I just love it! I normally just make the unicorn on a rectangle piece, but stamping it on the oval really gave the unicorn some shape and extra dimension. This card is very straightforward, but I had so much fun making it and adding in all of the flowers and sparkles. The horn is heat embossed in gold, which I just love! I had so much fun working on all of these projects for the release! Don't forget to leave a comment to be eligible for the 25 dollar gift card! Thanks for fluttering by! You really highlighted these dies well! I love the unicorn one! But the CAS are perfect too! Great use of layering! I am in love with those edgers! Such beautiful details. And you cards highlight them perfectly! Wonderful cards. I really like the first set of cards. The braided ovals look perfect with the new gorgeous edgers! All of your cards are beautiful. The first set really speaks to me. Thanks for sharing. The oval is especially well used! Gotta get one!! Thanks for sharing your creativity. You always have such neat ideas. I like how you used the oval for different purposes, like the unicorn! Wow. I love the elegance of your card sets. The stamped sentiments are really pretty... I love what they say as well as the font. And I really like the way you framed. And the word dies... seriously some of my faves on the market. Such beautiful cards! Love the sentiments, colors and designs. These cards are amazing. This release is so versatile and your cards prove tha beautifully. Oh, so much goodness to study and attempt! What a great use of this fabulous release too! 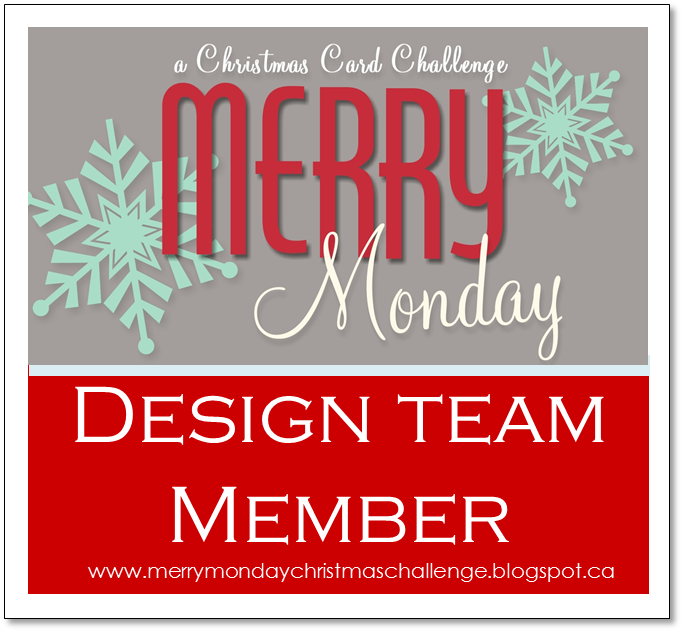 Great set of cards...loved your style of cardmaking..thanks for inspiring!! Beautiful cards. I really like the oval with sentiments. It shows off the die cut wonderfully. Kelly you have truly worked magic with all of these new products! I love everything! Thanks so much for the inspiration! unicorn is so pretty and very special. Wow! Amazing collection of cards you crafted for this hop! YOU really do shine on this team! I love your cards especially the layered cards with beautiful sentiments. The way you layered the die cuts makes such an elegant look. Those are incredible cards - just love those dies! Thank you for showcasing so many different products! All are outstanding! Great cards and so much inspiration! 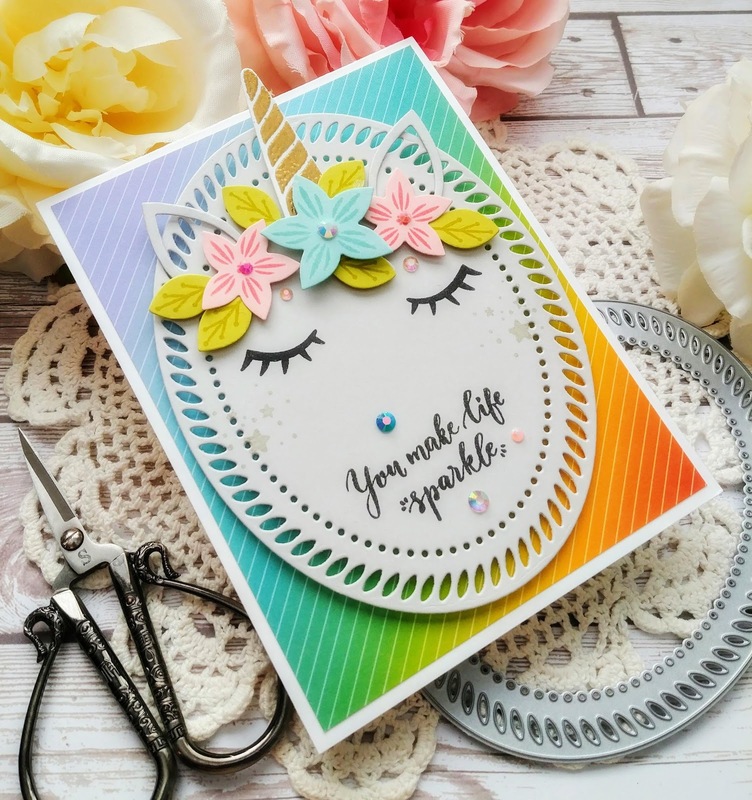 Love how you used the oval die especially the unicorn! SO fun! Gorgeous cards! Love how you used the braided frame die. Such beautiful creations, Kelly! Love the unicorn card. So pretty and polished looking! Gorgeous projects!!! I am loving the look of the Braided Ovals dies!!! 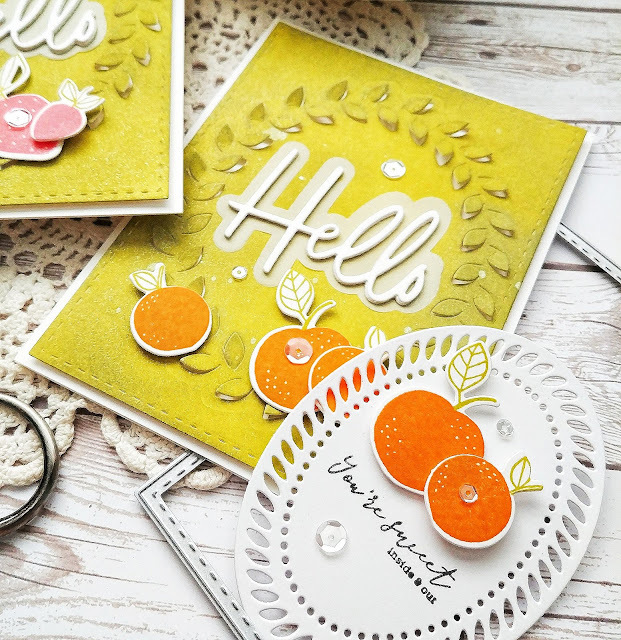 I love how you used the braided ovals die set. The cards came out so dainty and sweet! Lovely job. Thanks for sharing your creativity! Such beautiful creations. I am so in love with the Braided Ovals. So great. Thanks for your lovely examples. Oh, Kelly, all of your creations are gorgeous. The braided ovals really caught my attention. Love the pastels you used in your first set of cards. Oh you used the dies in such clever ways!! I LOVE the unicorn with the Braided wreath!! So much creativity, I absolutely love the white card set...so beautiful! Amazing ! You always make me want it ALL ! 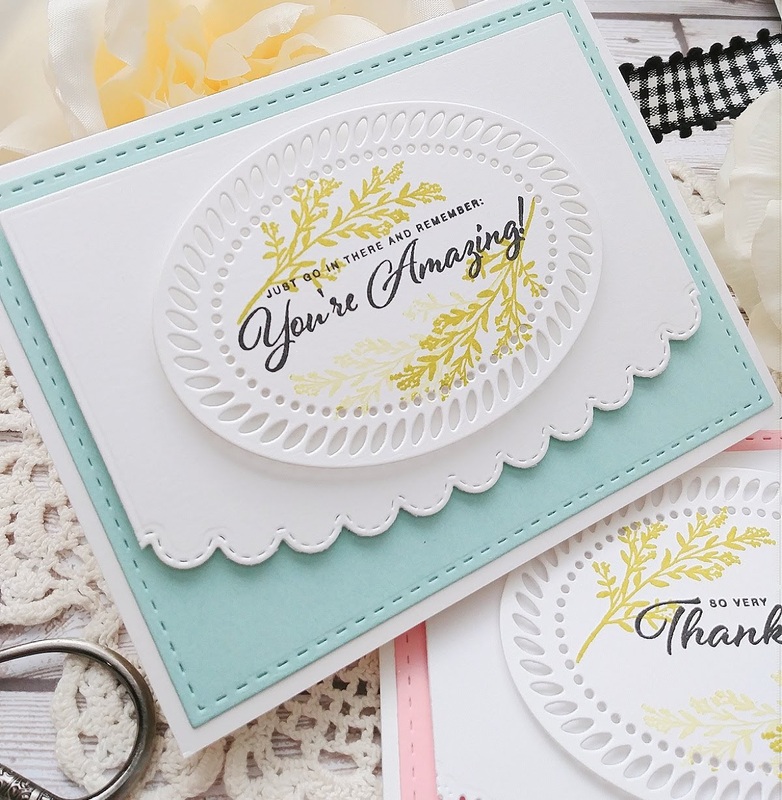 Love how you used the edger dies along with the braided oval for the sympathy cards. However, the Unicorn card stole my heart ! Pretty pastels - and lovely layers! Love the cute unicorn idea. The fruit cards are so adorable and colorful!!! I love them! Nice and subtle cards and this oval die is just blowing my mind. My favorite is the pretty pink with lace! So lovely and beautiful. Anyone would love to receive such a card! Thanks to you and Pinkfresh Studio! I LOVE the CAS designs because not only are they fairly quick to complete but they're also so professional looking!!! I love them!!! But that Unicorn card is out of this world!!!! Its so beautiful!!! You did an amazing job showcasing all these super cute dies!!! 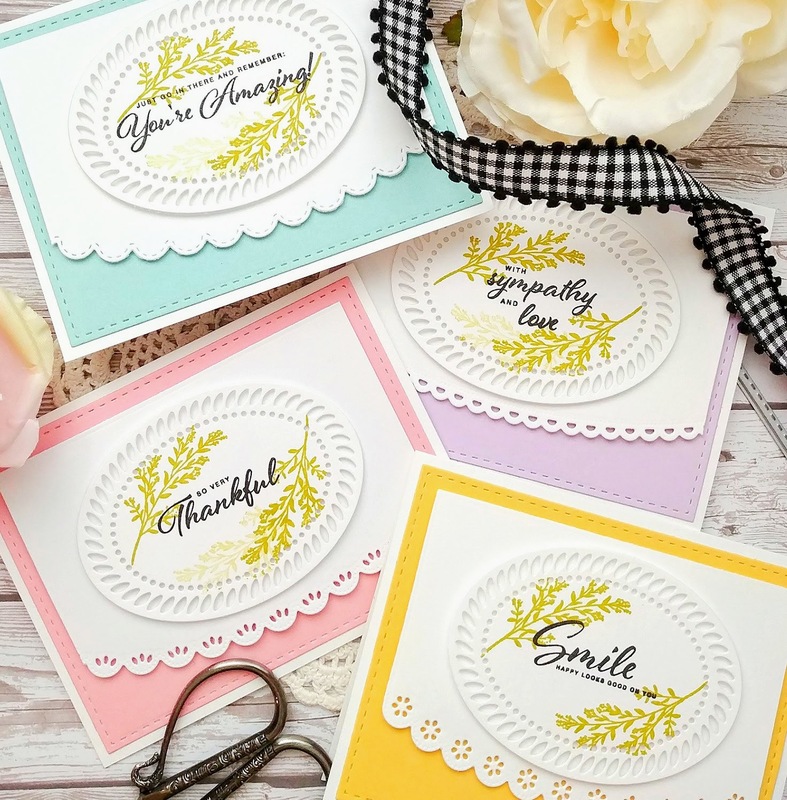 Such a beautiful set of note cards, they will make for a lovely gift! That Unicorn card is out of this world!!! Fab colors and design! I love the feminine, decorative edges and the gorgeous braided die. Your cards are beautiful! All of your cards are beautiful, Kelly. That's a given! But this release is really special! thanks for all of the inspiration! Your creations are beautiful. The oval frames are so unique! Love how you showcased them on your cards. Love the edgings. So elegant and fun. That first set is so elegant! Love the other cards! You rocked this release! Those dies are really wonderful and you did a marvelous job of highlighting them! Beautiful sets of cards, you clearly had a lot of fun! I am in love with this release! Thank you for sharing so many wonderful cards! Love them all. Not sure if my comment worked or not....I don't see it. Love so much what you did with combining the Classic Edgers and the Braided Oval together in that first set. So delicate and elegant. Loving the "fruits" of your labor! And there was the unicorn, very clever of you!! 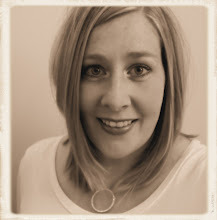 Kelly, your blog posts are always as magnificent as your creations! Looks like some more pretty fancy Dies are on my wish list now. Such a fabulous set of cards!! Beautiful! Fabulous cards! I really love the Classic Edgers.... awesome details on your beautiful cards! The Braided Ovals are gorgeous too! And the unicorn card is just delightful! All of your cards are beautiful and thank you for sharing. The Essentials release is magnificent; I am in love with this new release. Gorgeous card sets! Love ALL these dies and your cards demonstrate how beautifully they work together. The Classic Word and Edgers dies we’re on the top of my list and the Braided Ovals have been added too now, thanks! 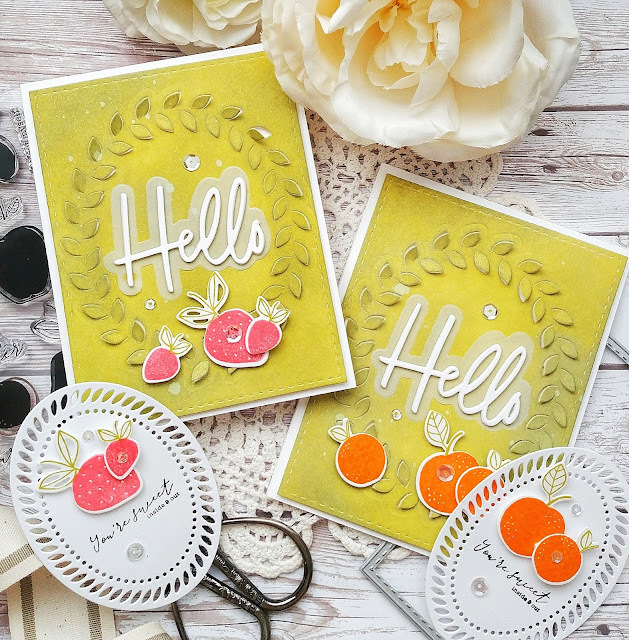 Super pretty card sets featuring the Braided Oval dies! Wow! Love the beautiful and elegant cards. The braided oval die looks really amazing. I love the new release, especially the new sentiment dies. Beautiful and so elegant!! The unicorn one is so cute!! So many awesome cards. I adore the unicorn card, it is just too cute. But I do like how you combined the different dies in the first set of cards. You make these sets shine. Love what you’ve done. I always do. These are so pretty. That unicorn looks spectacular! My granddaughter would love it. I like your use of the edge dies and the braided oval. Love all these beautiful cards! 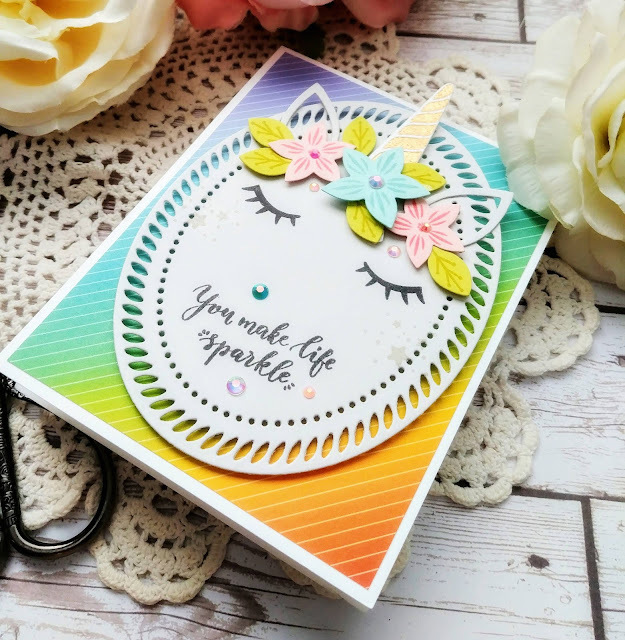 Great note card set and fabulous use of the oval for the pretty Unicorn. The Braided Oval is so pretty and seems very useful. Beautiful cards! These dies are so versatile. The possibilities are endless. Beautiful cards and colors. Thanks for sharing. Such a wonderful variety of cards. The first set were kind of vintage, then you ended with the playful Unicorn. So adorable. You are may always be looking for that professional finish, but I think you've found it! I love the way you construct your cards; you postion your elements really elegantly. Thanks for sharing these lovely ideas with us! PRECIOUS and I love the rectangular stitched bases... I think having a supply of those on hand would make things roll so much more smoothly for any cardmaker!